Sara Valour jacket from Adini. A must-have, throw over jacket perfect for your Winter wardrobe. 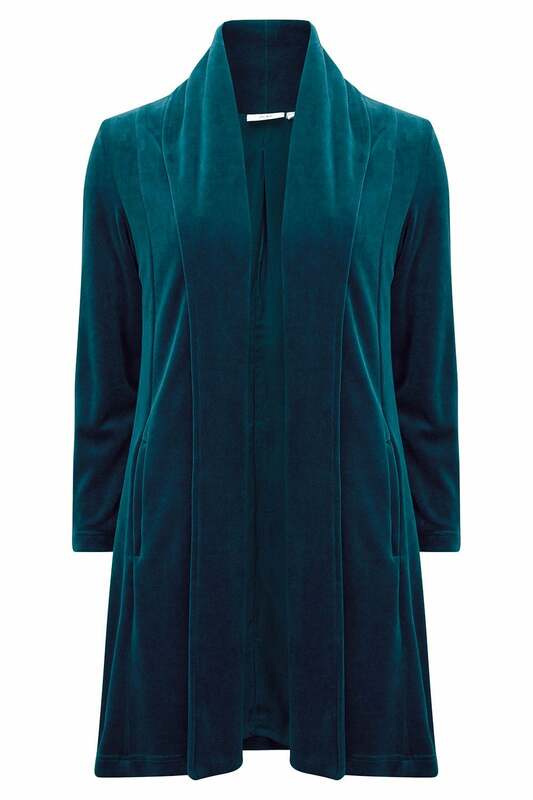 Cut from beautiful and cosy cotton velour and available in rich and sophisticated Malbec and kingfisher. It has a luxurious feel and is elegantly designed with a shawl neck and 3/4 length. Length (approx): 93cm / 36"